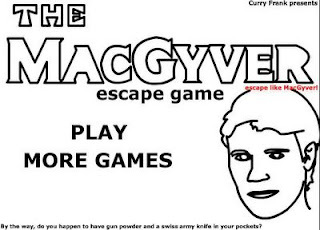 If any of you guys are old enough to watch tv around the 1990s, you must have seen one of the most popular tv show called Macgyver. In the show, Macguyver is a smart aleck who always get out of trouble by improvising household items to perform his houdini like escapes. I accidentally stumbled upon some improvising experiments on Youtube. It got me hooked to look for more videos like this and started reminiscing on chemical classes during my school days. I am not ashamed to say that i am one of those many student that performed my "own" experiments out of curiosity. At one point, i even ask my teacher whether we can mix a TNT solution by mixing wool with a nitrate solution ( i cannot remember the exact chemical compound). My teacher said it was possible but we did not dare to try it out.